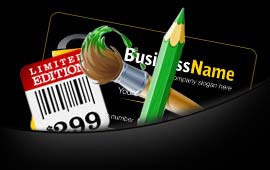 Now, no need to approach professionals or hire experts to create users desired ID cards. 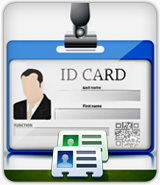 ID card maker software is facilitated with platform to create student ID cards, faculty ID cards, employee ID cards etc. 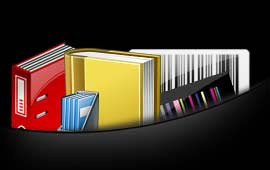 Advance image designing objects including pencil, text, rectangle, picture, barcode, ellipse etc of the software presents customized ID cards relevant to the business or private needs. Utilize ID card maker software, to give your identity a perfect shape, use your creativity and create bulk number of ID cards by just changing the text and barcode value. 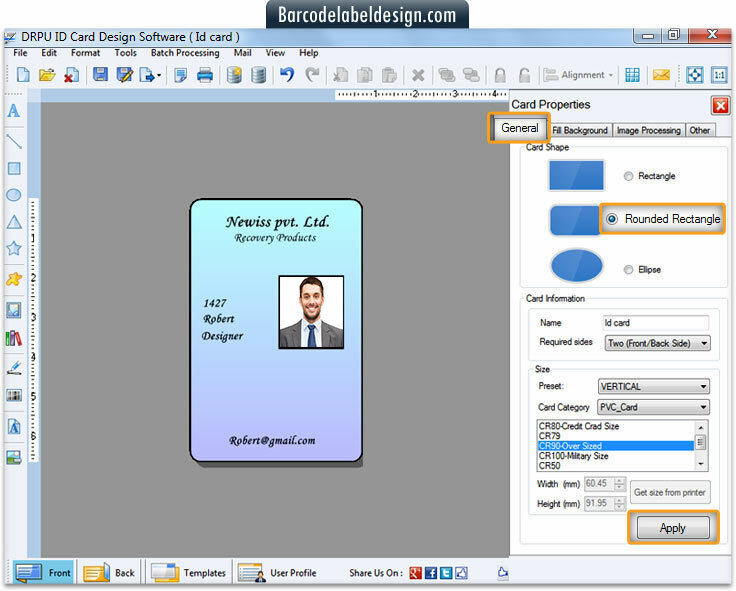 Adjustable font, color and image setting options help to build users custom-style of ID cards.